Here's a W.I.P. photo of my latest project. 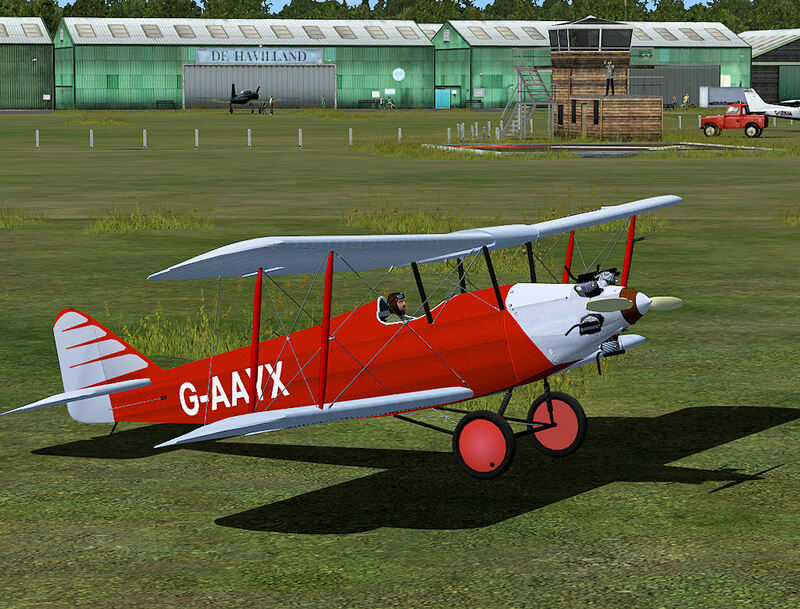 It's the Southern Martlett for FS9/FSX, seen here in the Orbx Old Warden setting. The Southern Martlet was the first aircraft designed by teams led by Frederick George Miles, whose company was Southern Aircraft of Shoreham. The prototype G-AAII made its first public appearance on 30 August 1929 at London Air Park, Hanworth, and proved to be a very manoeuvrable sports machine. Five production aircraft were built at Shoreham, differing chiefly in the choice of engine. Three of them had the 80 hp Armstrong Siddeley Genet II (modelled here) and one a 100 hp Armstrong Siddeley Genet Major and one a D.H. Gipsy 1 or II. The aircraft is now part of The Shuttleworth Collection based at Old Warden Aerodrome It is now on permanent display as part of The Collection and is flown at home air displays during the summer months. Current progress is a nearly finished exterior with all the interior to be tackled next. Niiiiice. Wondered what was on your drawing board! I've got another Miles underway the M2W Hawk Major. Dave....where DO you find them? I'd never heard of this machine before. Your work is always welcome and appreciated, though. Mike - in this particular case, the aircraft is on display at the Shuttleworth Trust airfield at Old Warden. A wander through their website http://www.shuttleworth.org will reveal plenty of gems awaiting building . The story so far ... work has continued on the Martlet to a point where the cockpit now looks reasonably authentic. There's still some work to do, mainly tidying up. 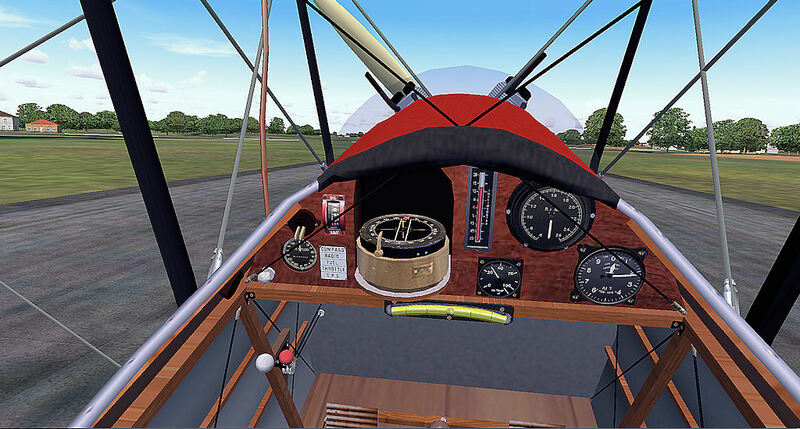 The simple panel & gauges layout is based on the example at Old Warden, modified slightly to fit in with MS Flight Sim requirements. Then onto geting the aircraft to fly in a reasonably realistic manner - shouldn't be too difficult as there is precious little information on the real aircraft's performance. 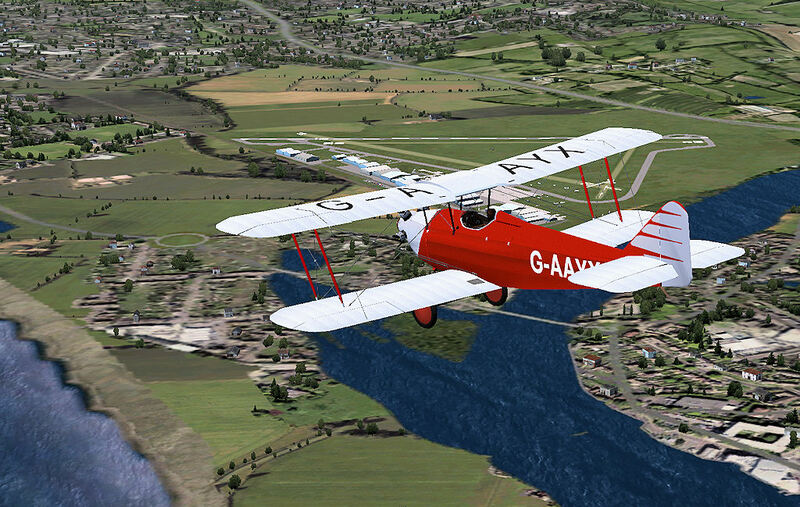 Here's a shot of it in FSX in flight over Shoreham.